GTL (Lights) – All vehicles under 3200 pounds. After these rules and classes were introduced, we heard some outrage from some in the Ford Mopar camps, claiming OPTIMA's Search for the Ultimate Street Car unfairly excluded every model from their respective lineups. That is clearly not the case, but apparently there was some confusion on their part, because they saw the examples of vehicles for classes and assumed only those makes and models specifically called out were allowed to compete. While space does not allow us to list every make and model of vehicle eligible to compete, we want to reassure Ford Mopar owners that OPTIMA's Search for the Ultimate Street Car is open to all production cars and trucks that meet the rules of the events. In fact, as evidenced by the outcome of this past weekend's qualifying event, vehicles not specifically cited as class examples have already made it into the 2015 OUSCI field. Defending 2014 OUSCI champion, Danny Popp made it all the way from Ohio out to Thunderhill Raceway in Willows, California for the first event of the year, allowing him to size up his competition first-hand, even though his 2014 OUSCI victory locked him in for a return visit to the 2015 OUSCI. It didn't matter, as Popp topped the GTL class in his 2003 Chevrolet Corvette anyway. Since Popp already has an invitation to the OUSCI, the next-highest finisher in the GTL class, who hasn't already been invited, will receive the OUSCI invite for that event. In this competition, that competitor was 2014 OUSCI invitee, Monty Pack in his 2011 Porsche GT3 RS. In the GTS class, it was Rob Krider punching his ticket to Las Vegas in his 2006 Chevrolet Corvette Z06. Another familiar name rose to the top in the GTV class, as Jake Rozelle topped the competition in his 1969 Chevy Camaro and will be making a return trip to the 2015 OUSCI. David Carroll received the KN Filters Spirit of the Event invitation to the 2015 OUSCI in his 1975 Datsun 280Z and Alexandra Zust received a first-time participant award with her 2005 Lotus. 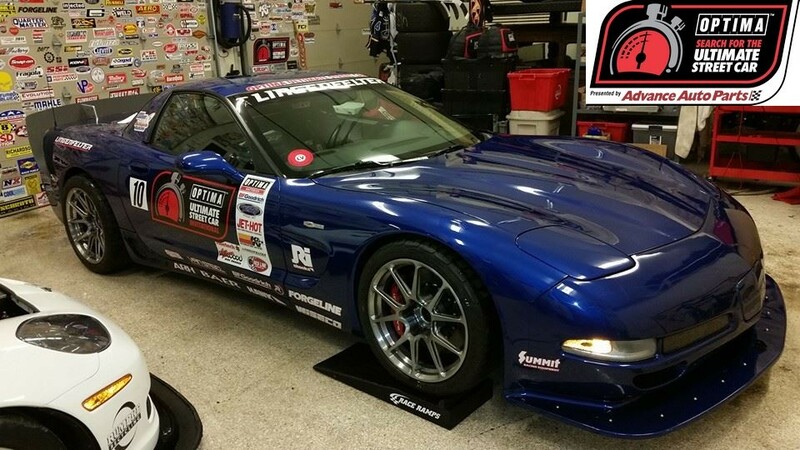 For those who were wondering about the $3,000 bounty on GT class competitor, Ken Thwaits' Camaro, the money is still out there for the taking. A total of three Ford Mustangs at Thunderhill registered for competition in the GT class, driven by first-time competitors (late-model Ford Mustangs and Dodge Challengers driven by first-time competitors are eligible for the bounty). While they all ran well, Thwaits' experience and performance was too much for any in the group to overcome, Mustang or otherwise, so the bounty carries over to the next event at Texas Motor Speedway and Thwaits has locked in his invite to the 2015 OUSCI. As many as five first-time Ford Mustangs may have already signed up for the GT class at TMS and we expect even more entrants in the coming weeks. If you'd like to sign up for the Texas qualifier, there's still time. Head over to www.DriveOPTIMA.com and register today!